Since Google Image search was launched in 2001, only minor updates has found its way to that part of Google’s search engine. Now, Google decided to “Bing up” their Image Search and make it more like Bing’s image search. The change is not available in all countries yet but should be over the next few days. The most noticeable change is how images are presented to the users. Less padding between images and without any text, and now with an “endless scroll” – no more need to switch pages. Just scroll. Hoover the mouse over an image and it will enlarge slightly. Clicking on it will take you to its website but with the selected image as an overlay and a right sidebar with more information about the picture and website. Coming to a Google near you, very soon! In 2007 Google tried to push it but due to too much negative feedback they rollover to old interface. However, after the success of Bing with similar interface, they get good confident I think. I will just wait for the new image since my country doesn’t show the new image from google. I’ve seen the new interface for Google image search and I prefer the old one. But on second thought, I guess its better. Its just that I’m not used to it yet. Eventually I might like it. Change to the better I must say 🙂 Even in the house we move things around just to satisfy our need for change – website is no different. I like the new display Google has implemented for their image search. Yes, it is like Bing but not sure why Google is trying to copy the layout of a lesser used Search Engine. And not design a layout of their own design. 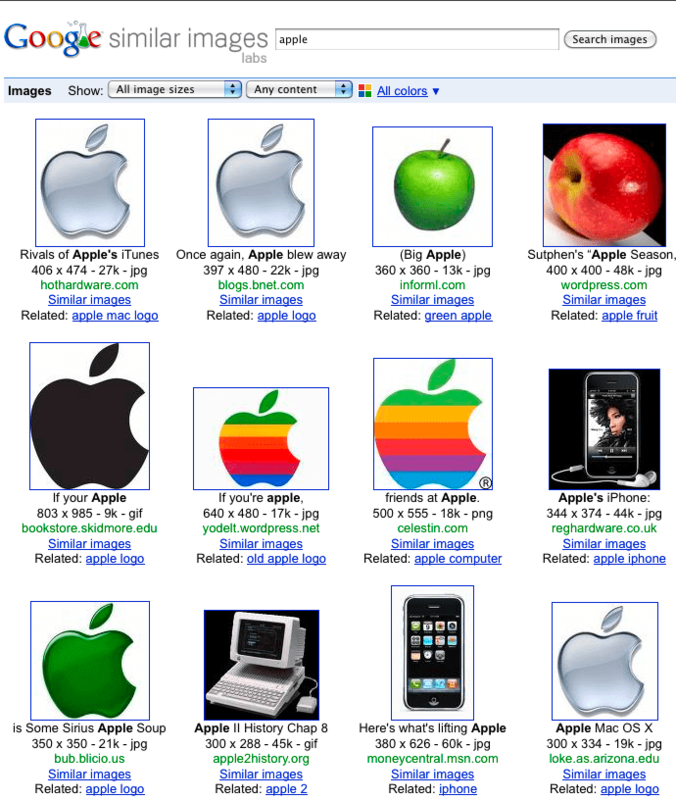 There was nothing wrong with the old Image Search layout design in my opinion. But if Google thinks this will keep them ahead in the Search Engine market then I assume they know what is best is the eyes of the viewer. Doug Taylor recently posted… My Online Business Strategy More Than A Great Online Business System – It’s A Community! A nice blog on google image, thanks a lot. I don’t know if other people have had a similar experience; however, I have found that the first page of images loads relatively quickly. Yet, the second, third (and subsequent) pages of images seem to take quite some time to load. From a user interface standpoint this (having lots of images on a single screen) seems like a good idea . It just appears that due to hardware constraints (perhaps on my end – in regards to by internet service provider) it still has a ways to go. Next post: Geeky, Funny or Crazy T-Shirts. Too Nerdy?